T-Mobile MVNO Univision has announced that at no extra charge, customers can now call from the United States to mobile or landlines in 200 countries including all of Latin America. 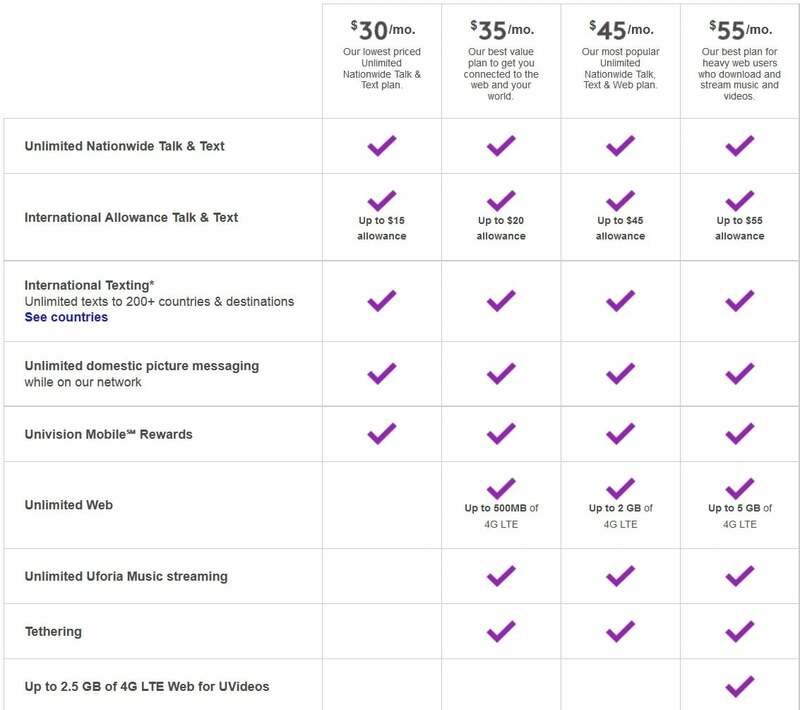 International calling minutes will be available in varied amounts depending on which plan you have, and the minutes come via international calling credits which include at least $15 of credit if you are on their cheapest plan. Furthermore, roaming is also included with these calling credits, and it is available in 15 Latin American countries including Mexico. This puts Univision in direct competition with fellow T-Mobile MVNO Telcel America whose service also includes international roaming in Mexico. All Univision prepaid wireless plans include "sneak peeks of new Univision shows and premieres, and opportunities for behind the scenes VIP access to Univision events and television and radio personalities as well as access to UVideos and Uforia." With the UVideos app you can watch Univision shows on demand, while Uforia allows you to stream 65+ live radio stations as well as access digital stations only available on Uforia. A summary of Univision's plans are found in the infographic below.